Sonia Cullington say's "Dare to Bare Kelly?" Another great session last night working the core.................press ups which I could not do when I started with you back in 2010..................side planks woop woop and a huge amount of fun!!! I feel WOW mentally and physically and am looking forward to our next session! Kelly is WOWING! 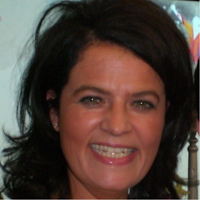 She is mentally & physically in the WOW zone and her energy balance is in tune with her life style...WOW WOW WOW! Sonia Cullington say's "Whaaat's happening Hedda?" Well, its Spring again and I am in a renewed phase of trying to lose more weight and look good, two weddings this year! I need to lose at least one stone before the 3rd June! I had a really happy day when I went into Marks and Spencer and bought some fitted trousers off the peg and they actually fitted! In the past I have had to rely on elasticated waists, very comfortable, but the choice is very limited. Still having trouble losing, mainly due to the fact that I had a four day holiday in Scarborough with my husband, followed by a vile virus that had me laying on the sofa for over a week. I now realise that in order to lose weight, I must exercise! Back on track now, and spent nearly all day Sunday gardening, the backs of my legs are telling me this was good for me! 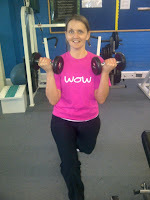 Thank goodness for Sonia and WOW fitness, for keeping me on the straight and narrow! I am really looking forward to our WOW session this week!!! 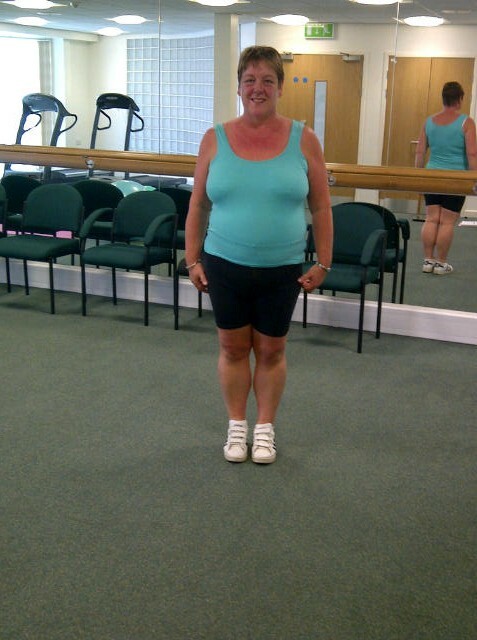 Hedda is fighting fit, she knows what she has to do and when she did put on a bit of weight recently when she was 'flirting' with food and her husband she soon sharp got back on track...watch this space, we will get another stone off by June! Sonia Cullington say's "WOW Fitness PT Client Kelly is WOWING!!!" WOW, WOW and WOW again no slacking for me this morning with the clocks changing another awesome workout!!!! So the BOSS’s words “ up up up with the weights” and we continued with the reps of “50”.................I WANT MORE........... so another session tomorrow can’t wait!!!! I am burning calories as fast as my body can go at the mo and it feels GOOD!! Watch the nutrition and work your body and you too will feel WOW!! 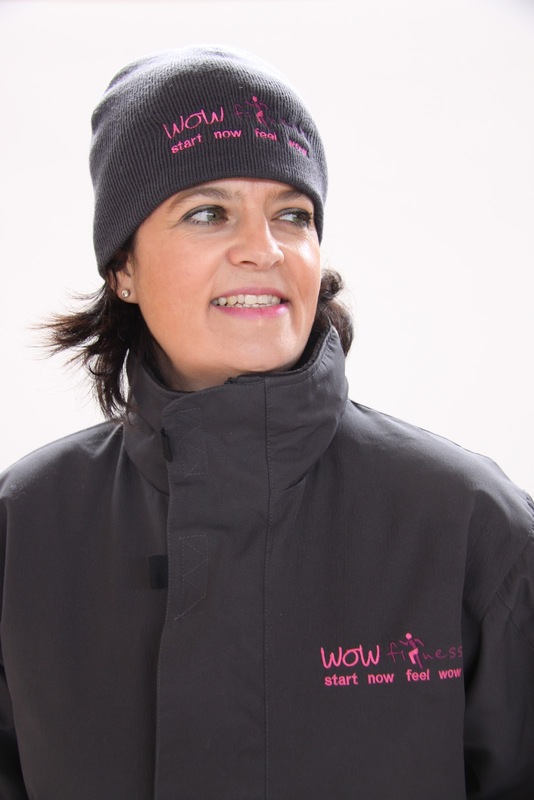 Keep it FUN......... and I do that with WOW Fitness (Sonia) .......FUN & RESULTS.............. I have lost 1 stone 8lbs (10kg) now and am maintaining this.............BUT there is always room for improvement!!! Kelly is WOWING on every occasion! I keep challenging her body with power workouts and I challenge her mind with Life Coaching sessions, she most definitely has the WOW Factor!!! Sonia Cullington say's "Watch your BACK Kelly..."
I did not blog you after my session on the 12th March but it was awesome as normal and we concentrated on strengthening the back following on from my osteopath appointment!! And boy did I hurt on Tuesday morning as I had some kind of bug and did not move off the sofa for two days!!! 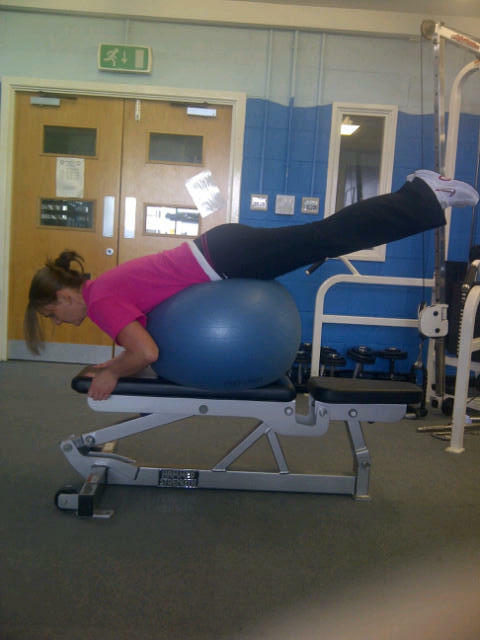 Tonight another great session working the core and maintaining a WOW body which will be hot, hot, hot by the summer. Keep focused keep it fun and keep listening to the BOSS and watch the results!! I have been working Kelly's core at every session (our last few sessions have been outside in the fresh air). I have been aware of the pain she has been experiencing in her back and I have only given her moves & repetitions that have been suitable but still WOW...her side planks tonight were AWE & SOME!!! Forget about the Price Tag….”) is YOU have a choice to make. It is the same choice YOU make every day of your working life. Do you exercise and put your body to the test or do you go to work earlier/ stay later showing commitment to your employer? In respect it is an easy choice to make, but perhaps more difficult to commit to in the long term. I like to call it Real Health Wealth because if you are willing to be REAL about your fitness you will become rich in a way that benefits YOU and the people around you, e.g family, friends, lovers, co-workers, clients etc. 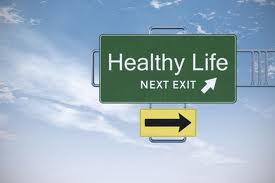 Real Health Wealth is a sense of fulfilment and well-being in any area of your life….